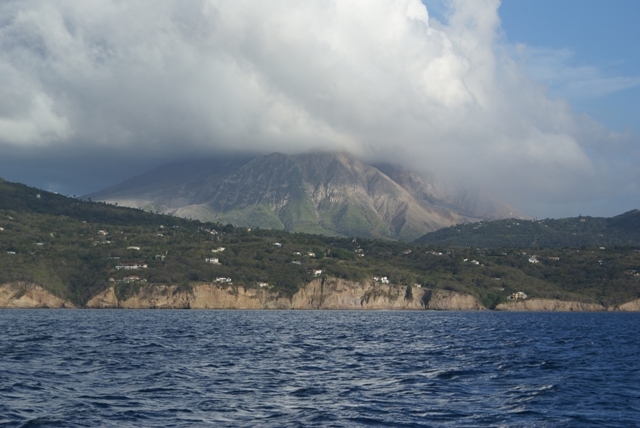 The distance from Nevis to Montserrat is only 32 miles, but it's upwind and we sailed all the way, tacking back and forth covering 62.9 miles! Starting with our customary 2 reefs in the main and a well reefed genoa we made around 6kts in 20kts or so apparent bashing into a lumpy sea and swell - water and spray everywhere. 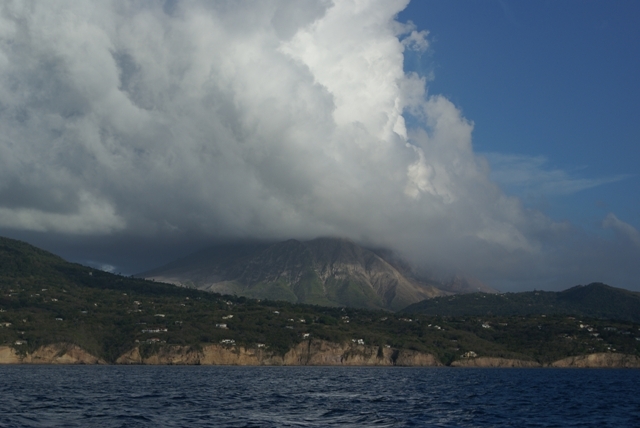 Once well south of Nevis the wind and swell came round a bit and shaking out a reef gave 7kts.The port tack was a lot more comfortable than starboard so we tended to stay on it longer and made more southing than easting until closing Montserrat. This did mean that we got a good view of the west coast and the old capital, Plymouth, that is now covered in lava and ash. 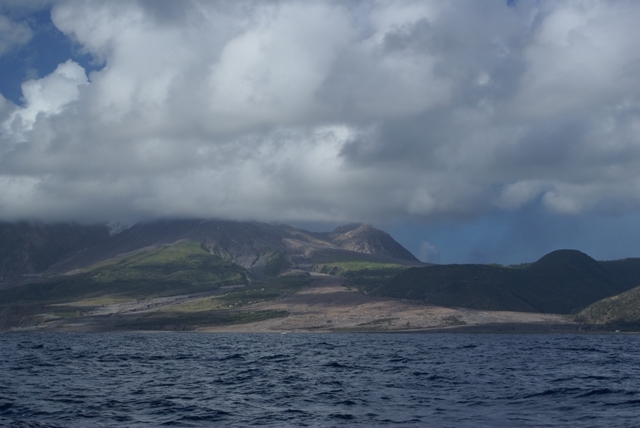 The volcano is in the south of the island and has lava flows down to the west and east coasts. Little Bay on the northwest of the island is the only recommended anchorage, and only in good weather, so that's where we headed and anchored behind 3 other yachts, just as the the sun was going down. 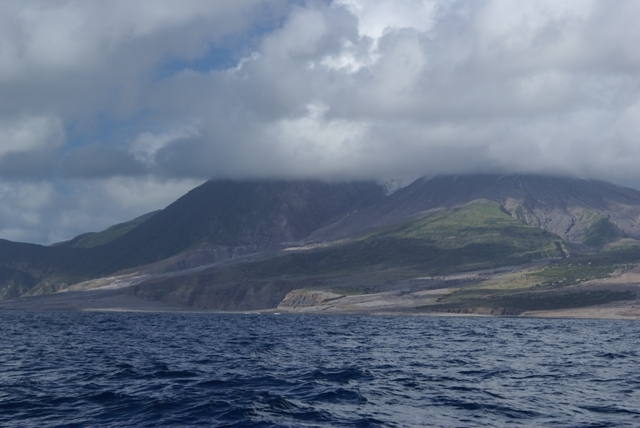 The following day the winds eased and came more from the east, making it an ideal opportunity to sail on to Guadeloupe. 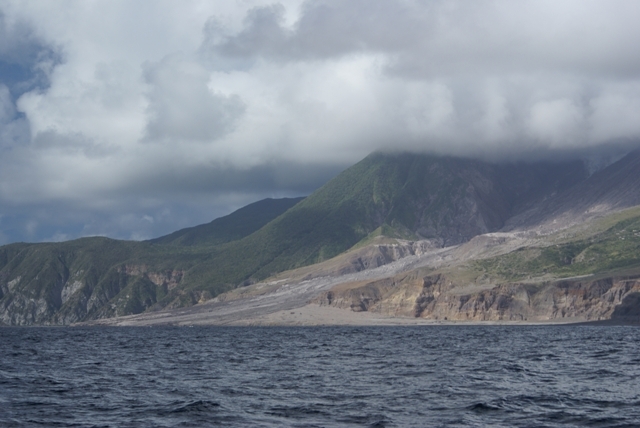 So we moved on, sailing down the windward (east) coast of an island for the first time. 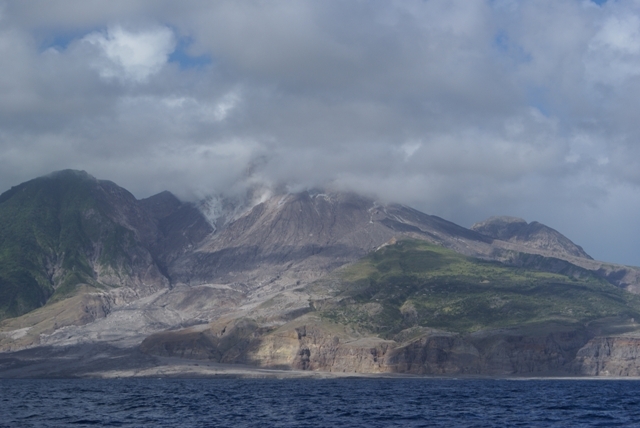 There is still the risk that the volcano will send out clouds of ash so going down the west coast is not a good idea unless well offshore, and that would be going away from Guadeloupe. So getting quite a bit closer to the 2 miles exclusion zone around the south half of the island than we had intended, we headed down the east coast. 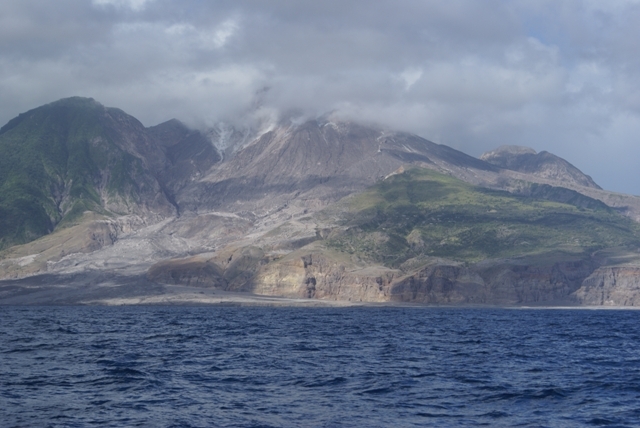 Never having seen a live volcano that close, it was fascinating. 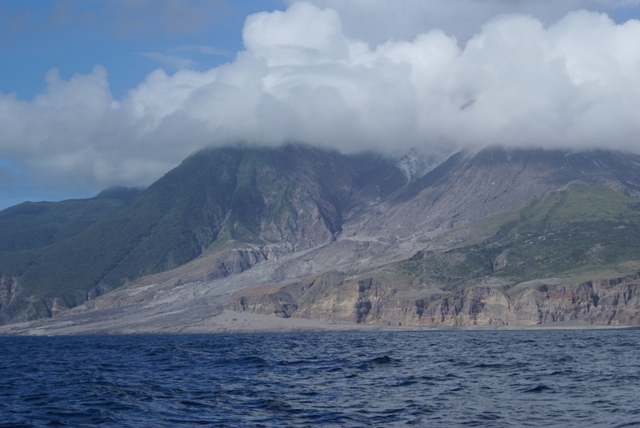 With blue skies all around, the clouds and smoke over the volcano made it look quite threatening, so we continued on our way, not wanting to push our luck too far! 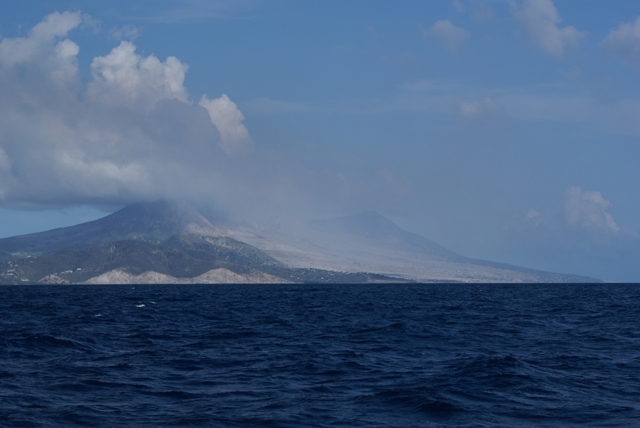 The volcano was 'quiet' when we passed, although it was still smoking!